In today’s increasingly competitive game of football, being an elite athlete requires more than the hours spent at team practice. Texas QB provides personal instruction to athletes with aspirations of playing collegiate and professional football from former athletes who have played and excelled at levels beyond high school. We offer elite instruction, a great player to coach ratio, and a quality amount of repetitions to help our athletes compete at a high level of play and to ultimately further their careers. Contact Texas QB today to set up a private quarterback lesson, receiver lesson, speed training, or for information on one of our football camps. Click here to register for lessons and camps. Jason Lovvorn is the head coach and owner of Texas QB. Jason is a graduate of First Baptist Academy in Dallas and a former college football quarterback at Baylor University and Howard Payne University. He was hired as the head football coach at FBA in 2009, where he went on to lead the team to a district championship and the school’s first football playoff win in 28 years, as well as a state championship and an undefeated season in his 5th season as head coach. Coach Lovvorn started Texas QB in 2007 and has worked with quarterbacks from 1st grade up to the professional level. David played football for Oklahoma University, where he won the Derick Shepard Award, played in two National Championships, and three Big 12 Championships. David specializes in wide receiver and speed lessons and is available for private instruction. For more information, visit his website. Toby Lynch played college football at Hardin-Simmons University. 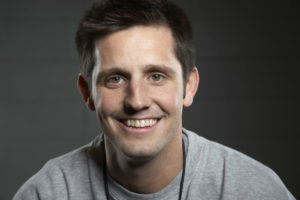 He currently teaches and coaches football, wrestling, and track at First Baptist Academy in Dallas. He trains athletes of all ability levels, sports, and positions. Erick Franklin was a 4 year starter and wide receiver for Louisiana Tech University, where he holds the school record for career kickoff return yardage with 1,873 and the single season record with 887. Erick teaches wide receiver and speed lessons. Colossians 3:23- Whatever you do, work at it with all your heart, as working for the Lord, not for men.